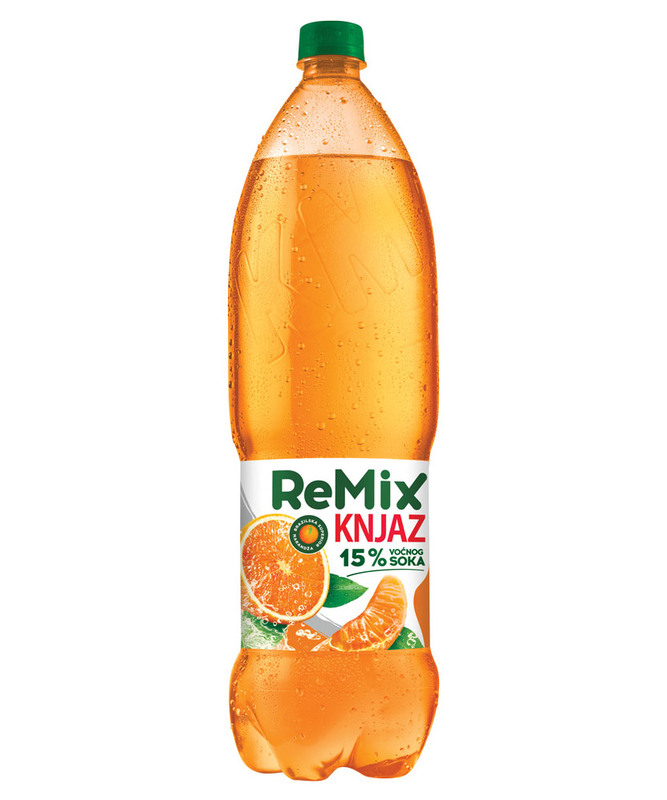 ReMix Knjaz is a unique product portfolio on the market, in the segment of carbonated soft drinks. 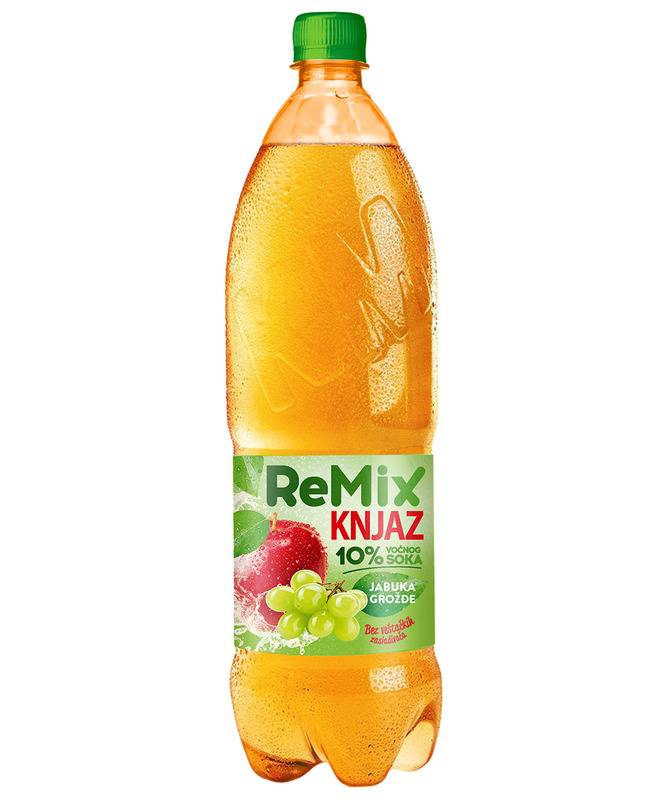 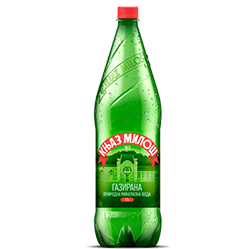 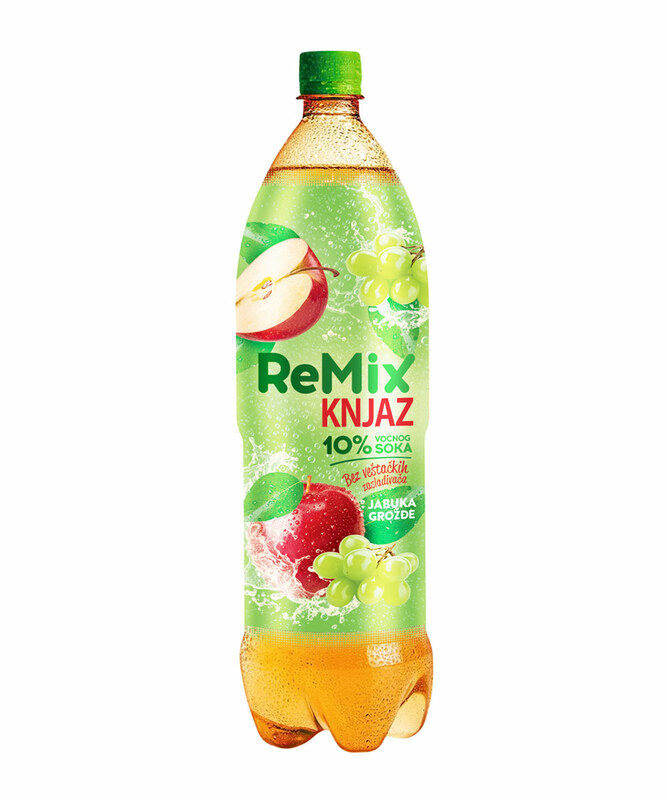 It is an ideal mixture of water and fruit juice and is available as: ReMix Knjaz Pear and ReMix Knjaz Apple grapes, with 10% of the fruit juice. 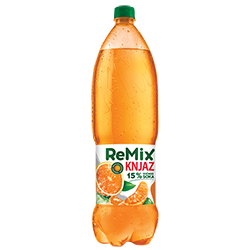 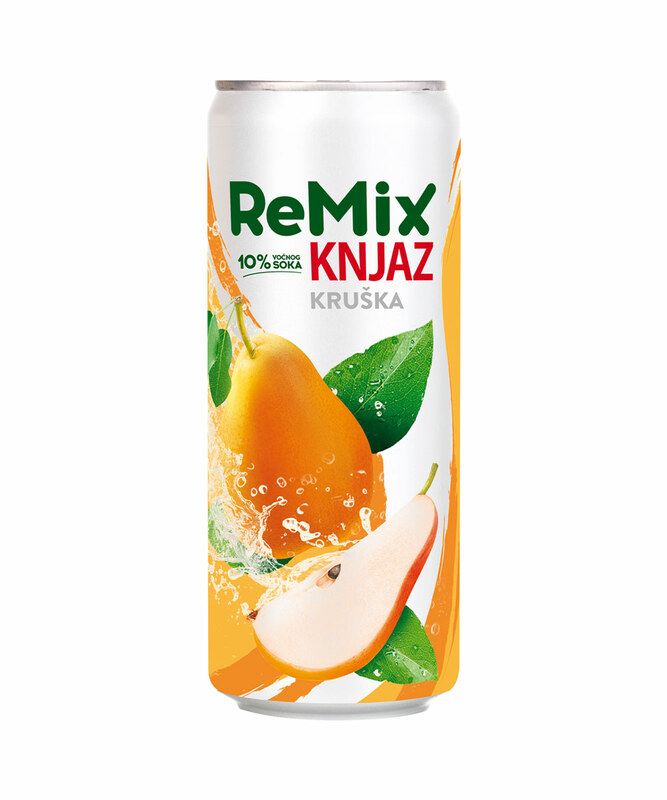 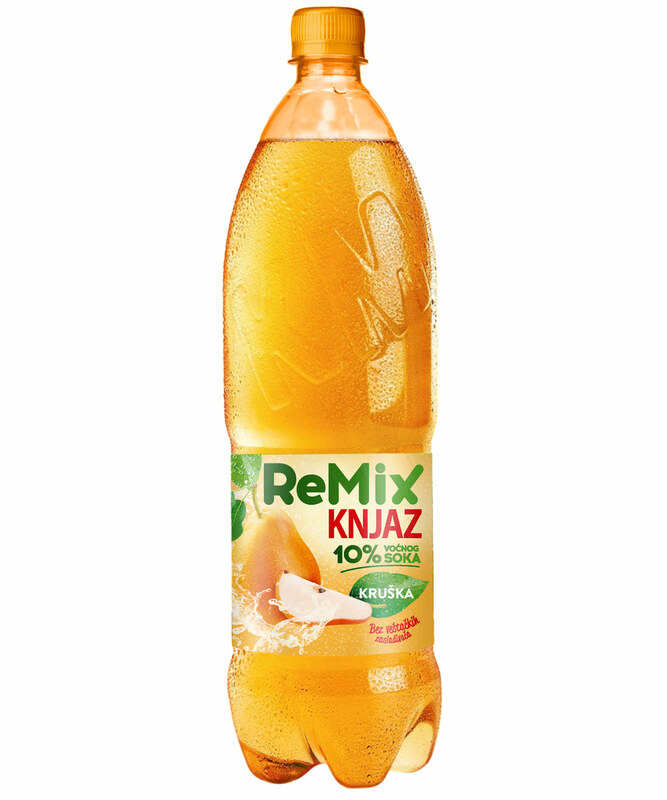 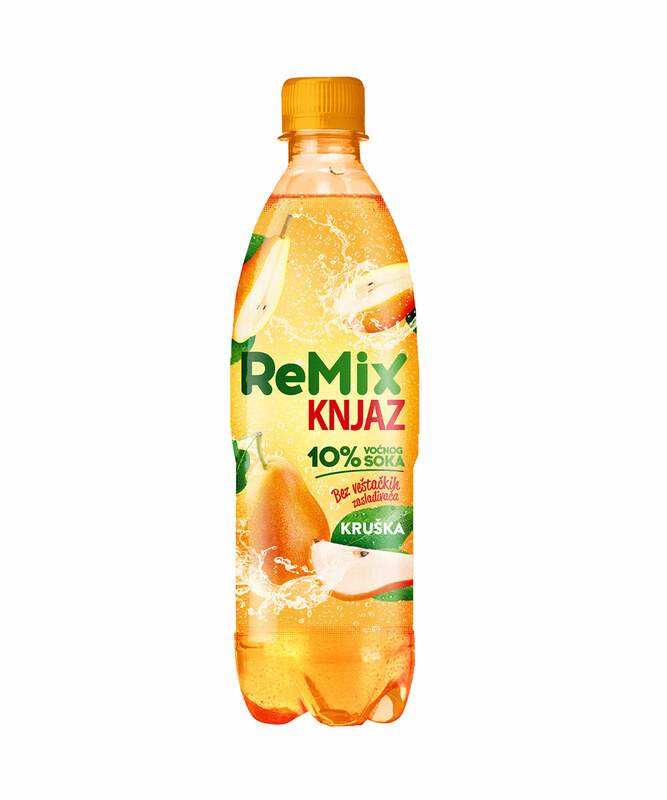 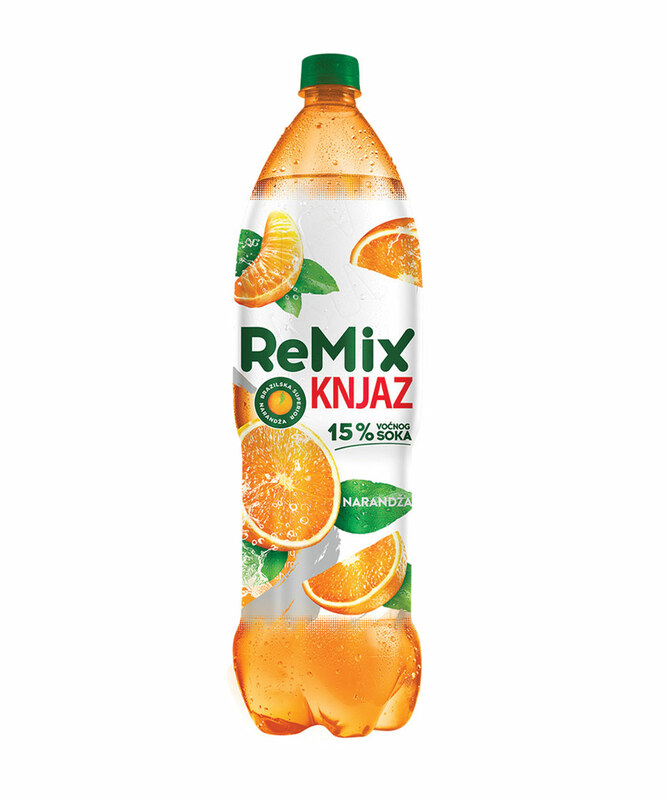 The latest addition in ReMix Knjaz family is ReMix Knjaz Superior Orange with as much as 15% of fresh Brazilian orange juice, which makes it superior refreshment and distinguishes it from the rest of the drinks in the category. 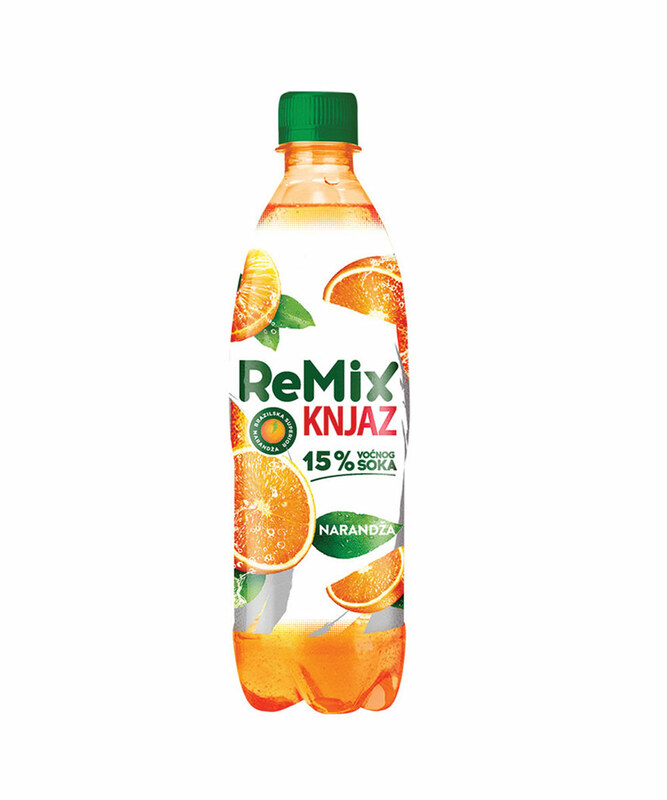 Remix Knjaz Superior Orange is a unique drink, an ideal mixture of water and Brazilian orange juice. 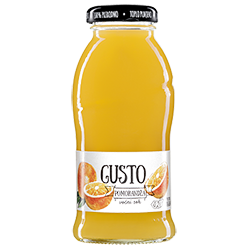 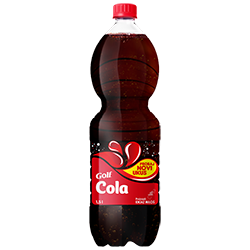 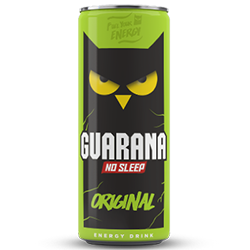 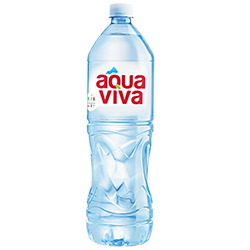 There are no artificial sweeteners and content of the fruit juice is at least 15% which distinguishes it from other drinks in that category and makes it one of the highest quality refreshments on the market. 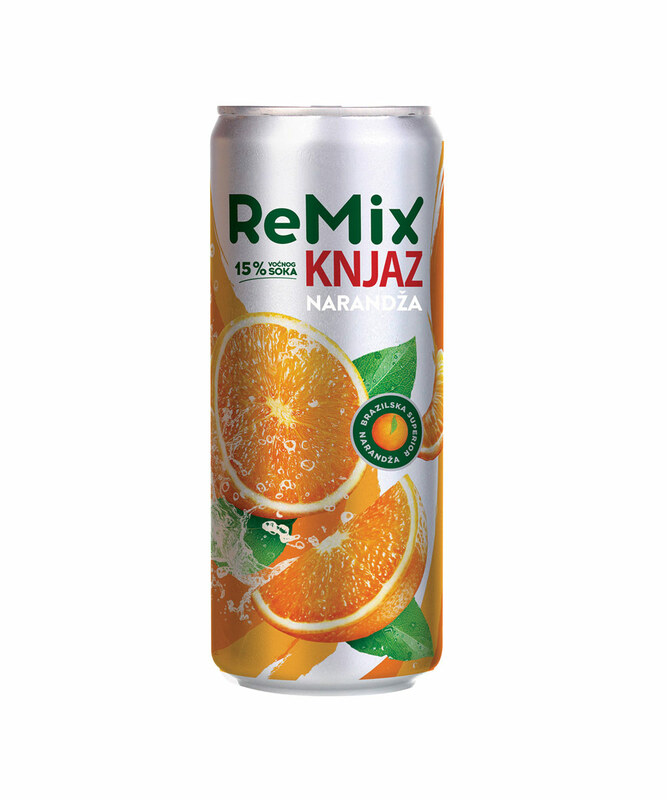 Remix Knjaz Superior Orange is available in packaging of: 1.75l PET, 1.25l PET, 0.5l PET and 0.33l CAN. 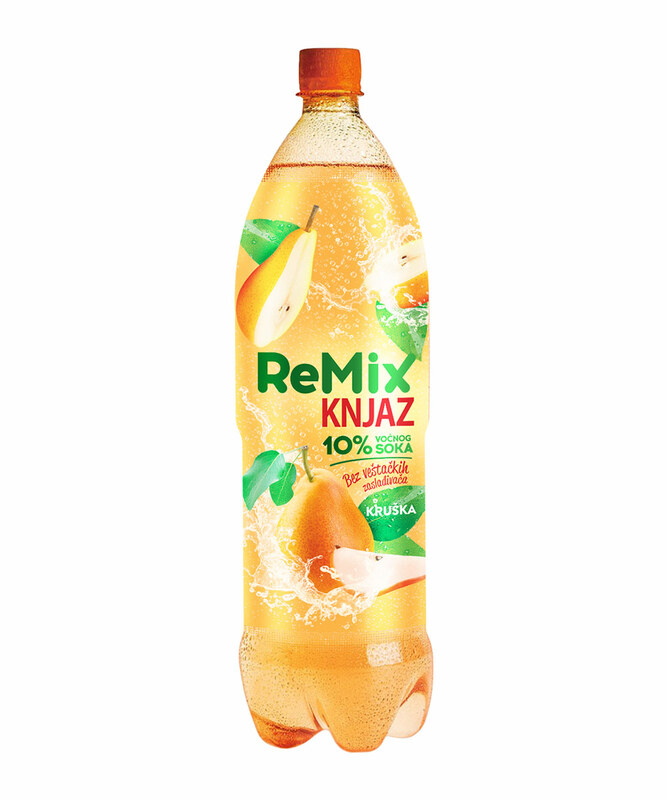 Remix Knjaz Pear is available in packaging of: 1.75l PET, 1.25l PET, 0.5l PET and 0.33l CAN. 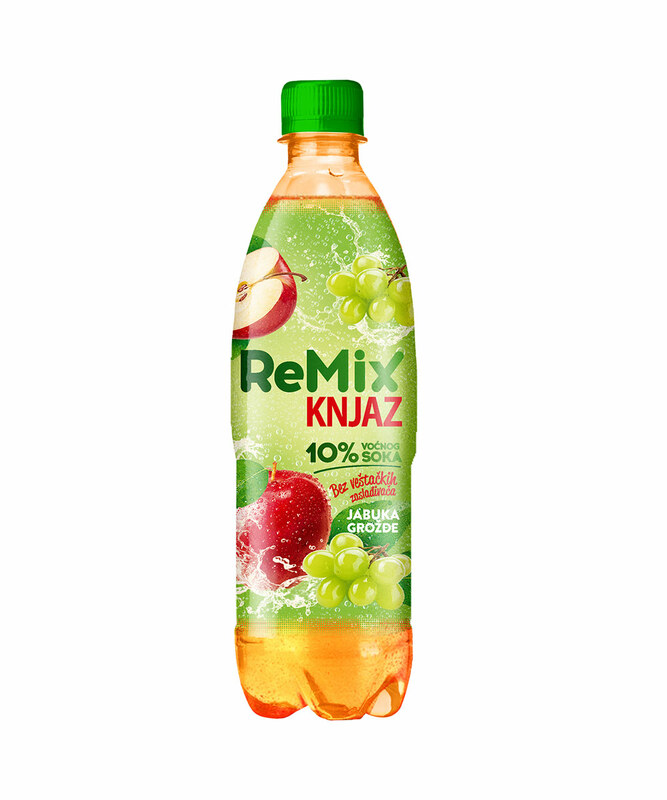 ReMix Knjaz Apple is available in packaging of: 1.75l PET, 1.25l PET and 0.5l PET.